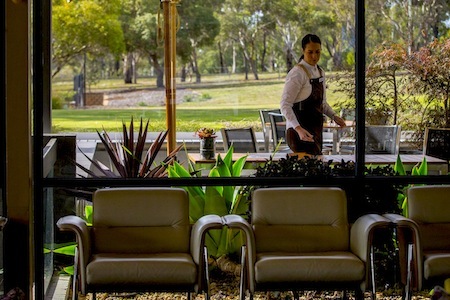 With its perfect positioning on 13th Beach on the Bellarine Peninsula just outside Geelong, Barwon Heads Resort offers a world class venue that is suited for conferences, meetings, weddings and private functions. There are three purpose-built conference rooms, which are separated from the resort itself to ensure there is privacy for conferencing groups. WIth great natural light, gorgeous views of the famed gold courses and all of the audio visual facilities you could need, Barwon Heads Resort has the perfect business meeting venue for your next event. The rooms can be easily adapted to your preferred configuration style. Team building activities at our business conference centre are tailored to the requirements of the retreat. Adjoining meeting rooms are available for break-out sessions after conferences. A private bar and lounge area with open fireplace is available for post-session functions. There are various catering options to create function packages that meet your needs, in addition to a top class onsite restaurant that can cater for up to 220. In the main conference room you can open up the doors at the end of the day and relax on the patio overlooking the golf course while food and beverages are served to your group. For wedding ceremonies and receptions, Barwon Heads Resort can help you create your special day, the most memorable day of your life. 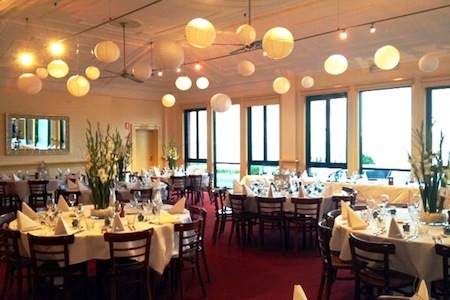 With a range of flexible packages available, tranquil surroundings, restaurant-style cuisine and superior service, all aspects of your special day will be perfectly realised at the leading wedding venue in Barwon Heads.